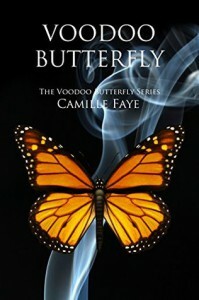 Voodoo Butterfly is the first book in the Voodoo Butterfly series, and from the start you can tell that research has been done for this story. Sophia is alone in the world, or at least she thinks she is. Her mother moved away from New Orleans, and told Sophia everyone was dead. However, after her mother's death, Sophia finds out that her grandmother had been alive, but no longer. She is told she has inherited half of a shop, and goes to the funeral to pay her last respects to a woman she never knew about. This is a gripping and interesting story, with many facets to keep your attention. It is well written, with plenty of character development throughout. And come on, admit it, if you were handed a voodoo shop in New Orleans, you'd be sceptical too! I loved the interaction between all the characters, although I was unsure of just what Jacques was playing at. There were no editing or grammatical errors that disrupted my reading flow, and I definitely would like to continue with this series. A fantastic start that leaves you wanting more. Absolutely recommended by me.